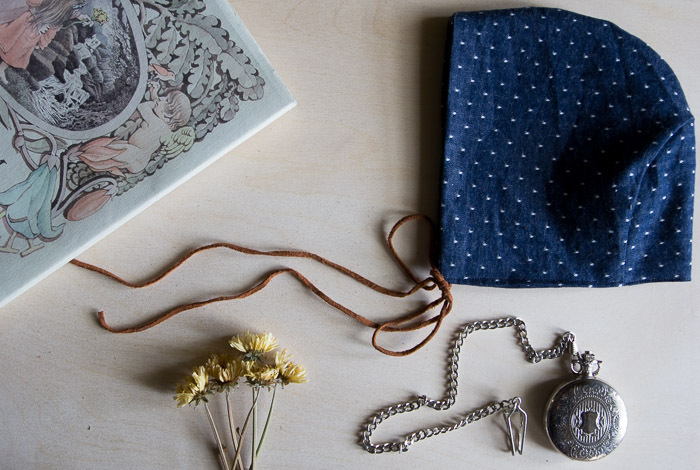 I have been holding onto this chambray fabric from Fabricworm for a bit now, trying to come up with the perfect project. You know when you just love a fabric so much you hold onto it forever and then end up not making anything with it? Ya, I don’t know what that’s like either. In order to get the ball rolling, I started by making this cute baby bonnet with leather ties. I ditched the ruffles on this one because I wanted to give it a more modern look, and added leather ties. Notice a theme this past week (ahem, Leather Mason Jar Mug and Leather Heart Keychains)? I adore how it turned out and am now on the hunt for a sweet baby to give it to. Know of any? 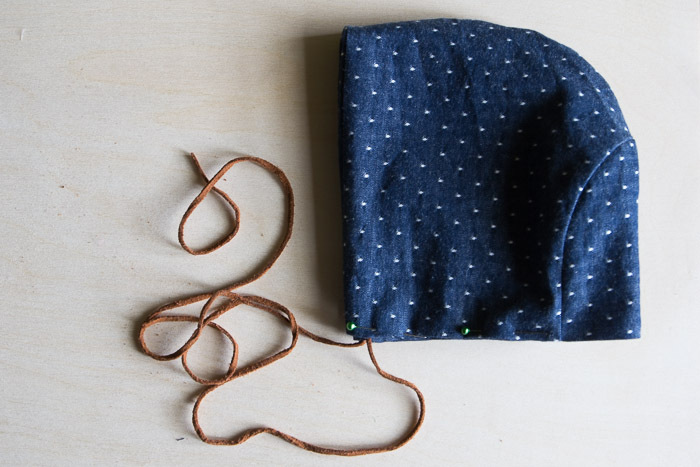 Start by opening and downloading the Fleece Bonnet Pattern and Tutorial. Cut out pieces to make two bonnets. 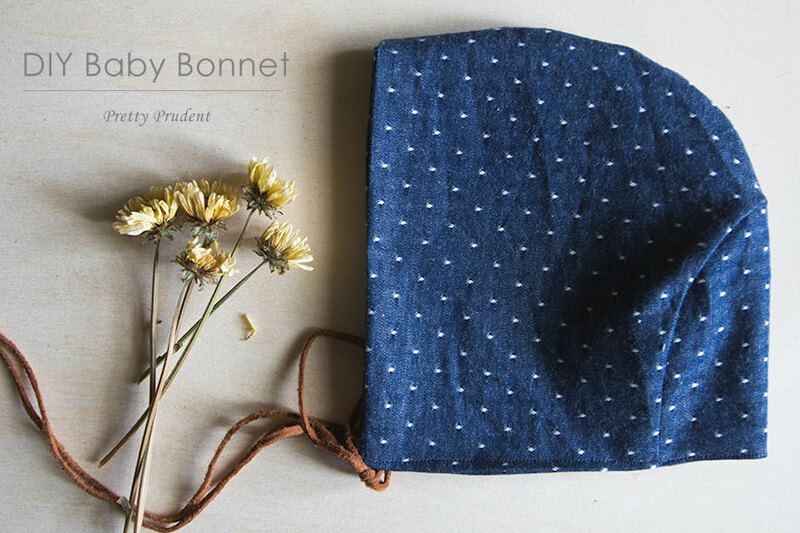 You will use the second bonnet to make the lining. 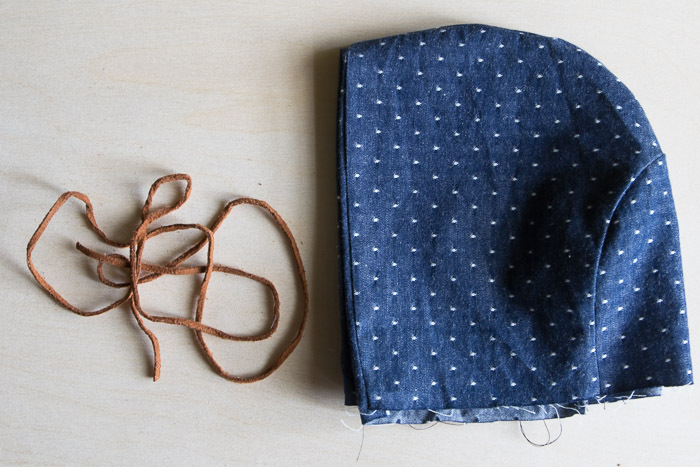 Follow the tutorial for sewing the bonnet together. Once you have your bonnet and the lining, flip them inside out with right sides facing and wrong sides out. Sew the bonnet and lining together along the opening, leave the bottom open. Flip right-side-out. It should now look like this image below. Place the leather ties near the front and pin down. 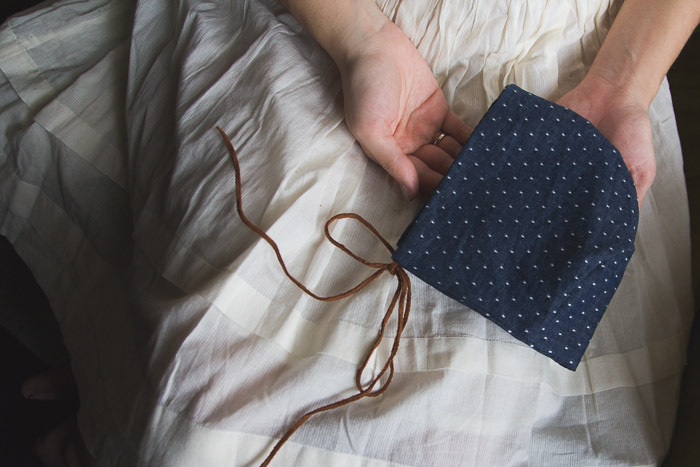 Fold the raw edges of the bottom in a 1/4 inch, pin down, and sew around, sewing the leather ties in place. Now it’s ready to wear! We are dying to see what it looks like on your little one, so please don’t forget to share a photo with us on Facebook, Pinterest, Twitter, and Instagram (PrudentJaime, PrudentJacinda) #PrettyPrudent. What size is the template for? How many months? I want to make it for my 8 month old. insanely cute. as if i didn’t want to already, now i must have another baby. Oh my, yes! I will definitely be making this!